Fast Conversion takes pride in its IT Solutions and Services. Our high standard solutions for websites, we are highly competitive in providing Services worldwide. We have dedicated teams for each technology domain who are experts in their crafts. Our developers are well versed in various technical fields. The combination of professionalism, dedication and skill make our developers the connoisseurs of cutting edge technology and development. We put the best effort to bring out the best solutions. We put at your disposal, a completely professional team to ensure quality in our services. Our methodologies are based on intensive research. We offer 100% Hand Coded websites that are with W3C Validated HTML 5/XHTML & CSS3 Codes. 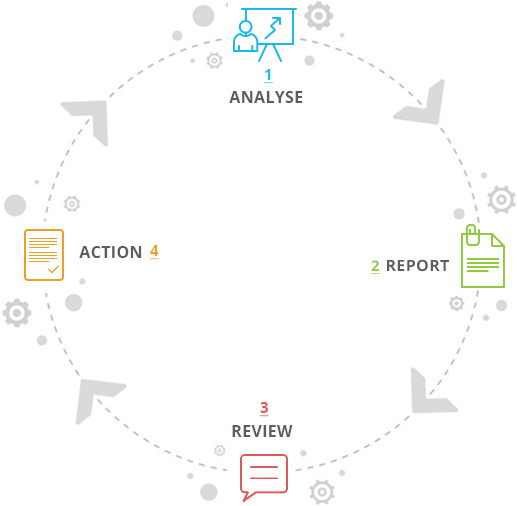 We handle the complete lifecycle of a project. We employ our professionals at our client’s end after deploying the solution for seamless delivery. We have created many commercial projects for reputed clients worldwide. We follow the best practices in the industry for optimal benefits of our clients. We are ready to walk the extra mile for our clients in negotiations and business deals. We always offer the best. We offer easy and budget friendly solutions to our customers, with our experienced team. They have the ability to work on breakthrough technology. Our client relationship is based on healthy communication that is successful in exchanging of ideas for constructive growth. We offer 100% customer satisfaction guarantee. We know that the excellence of our company is measured above all by the satisfaction of our customers. Overall client rating is 4.9 out of 5.0 for Fast Conversion by 830+ clients on over 6300+ projects. This will improve overall efficiency of your company and you can freely focus on your core business. Clear and concise communication is extremely powerful. Clarification eliminates the possibility of exchanging lengthy emails and other potential confusion. We ensure fast and friendly communication with our clients. The quest for professional excellence distinguishes us from our competitors. This makes us ready to take on new challenges and opportunities. We define our professional excellence and adapt it to our working surroundings.